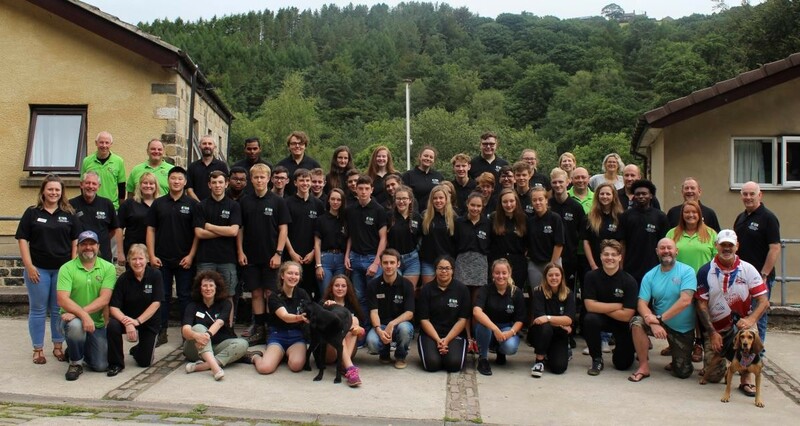 For various reasons, three young people left the course and two did not attend due to last minute illnesses however we now have 75 new RYLArians in our District who have all benefitted from Rotary’s sponsorship on this often life changing programme. The six-day programme worked very well once again and this will now be a permanent fixture, depending of course on the demand for places which we hope will once again be high. The application forms for clubs to apply for places will be sent out in October’s District Mailing with a deadline of 30th November. The recruitment and registration process then starts in earnest with the deadline once again being 31st March for candidates to be registered. We brought the date forward by a month this year which seemed to work well as we were able to allocate candidates to places much earlier which helped the young people make plans for their summer holidays. When we send out the confirmation of places, we are also going to include some guidance around questions that could be asked when you interview your candidates. This is something we are being asked for more frequently and so we have decided to prepare something for next year’s intake. Please also note that RYLA 2019 will start a week later, on the weekend of 27th July. School holidays seem to be starting later and so we have decided to push RYLA back by a week. to say goodbye to their new friends and go home! Many of them comment that they have enjoyed their time without their mobile phones as they have enjoyed chatting and getting to know their course colleagues “in the real world”. We always ask the RYLArians for their feedback at the end of their course and everyone said they had enjoyed it which was lovely to see. Many of them commented on it being hard work and challenging but very worthwhile and enjoyable and it had taught them so much about working in teams and leading teams. It is an intensive leadership programme the like of which I have never seen anywhere else and Rotary should be very proud that we provide this wonderful opportunity to our leaders of the future. We also asked them to share their career aspirations and they are extremely varied including armed forces, medicine, law, illustration, acting, diplomatic service, fire service, police, vet….it is disappointing for me that no one has an aspiration to be an Insurance Broker but I will keep trying! RYLA is an experiential learning course and RYLArians undertake a series of indoor and outdoor problem solving tasks in teams of eight with a Rotarian mentor. All the activities are geared towards leadership including communication, planning, allocating roles and responsibilities based on relevant experience, inclusion of all team members, delegation, problem solving, time management, etc. The activities are led by our professional instructors “Awesome Adventure” who lead what is the most powerful aspect of RYLA, the in-depth de-brief sessions. The “Kolb Learning Cycle” underpins all the activities and by reviewing each task and taking the learning points into the next task, the RYLArians grow in confidence and their ability to lead a team. During the afternoon of the first day, the RYLArians are given a task to complete called “Double Jeopardy”. It is a complicated, technically challenging task to build a structure to transfer every team member from one side of a river to the other. As we find every course, chaos usually ensues with no planning, nobody taking the lead, no sharing of skills and information. The confident ones try and take the lead but they never quite understand what they are trying to achieve and the less confident ones huddle together for support. There is method in our madness though and despite the teams never achieving the task on the first day, we observe the behaviours and characters of the young people and use this information to divide them into their teams of eight. This ensures that the teams are as well balanced as possible – we also had almost an equal split of girls and boys this year which also helped the team dynamics. On the Monday evening of the courses, I always explain to the RYLArians that they will be doing Double Jeopardy again to demonstrate how much they have learned. They are told that the only time we have for this is before breakfast on the Thursday morning which at first is well received however it quickly dawns on them that they will need at least two hours and so they will need to wake up at 4.30am – I usually make a sharp exit from the hall at this point and leave them to their planning! Both courses tackled this second attempt very well and it is always an emotional moment to see them start to cross from one side to the other as it shows how much they have learned in those few days. We like to ensure that Rotary has an important place in and amongst all the leadership activities and we held a Service above Self evening where the RYLArians filled Shoeboxes with items that they had volunteered to bring. We filled more than 60 shoeboxes across the two weeks and further boxes will be filled with the proceeds of the tuck shop and donations made by Rotarians for refreshments. As part of this evening, Rotarians working on the course gave brief presentations about what Service above Self means to them and we then divided the awardees into groups and asked them to discuss what it means to them and then present back to everyone at the end. We were in awe at the volunteering and fundraising that these young people are involved in. We challenge the young people to raise a minimum of £475 themselves (the cost of a place on the course) for a cause close to their own hearts whether that is through raising money or giving their time. I can safely say that this year’s RYLArians are already more than meeting this challenge. We also suggested that they could offer their help to their sponsoring Rotary Club for any events and keep that connection with Rotary. We have a programme of inspirational speakers every morning at 8.15am, all selected from the RYLA staff this year. We heard from Past District Governor Ken Robertshaw who had kayaked the length of the Mississippi river and spoke about how he overcame challenges along the way and the characteristics needed by a leader; Jamie Young, Grace Clark and Alex Healey, all past RYLArians who now volunteer at RYLA, spoke about how RYLA had helped shaped the course of their lives; Rotarian David Price spoke about his adventures and how we should “get comfortable being uncomfortable” and Rotarian Rick Raistrick spoke about his life and included a song called “I Lived” by One Republic which became very much the theme for both weeks with a particularly poignant lyric “I owned every second that this world could give….” He included a tribute to the late Rotarian Neville Oughtibridge, a member of the Rotary Club of Ossett who sadly passed away in June and who had been a RYLA mentor for the previous three years – his absence was keenly felt this year and he was very much in our thoughts and hearts. 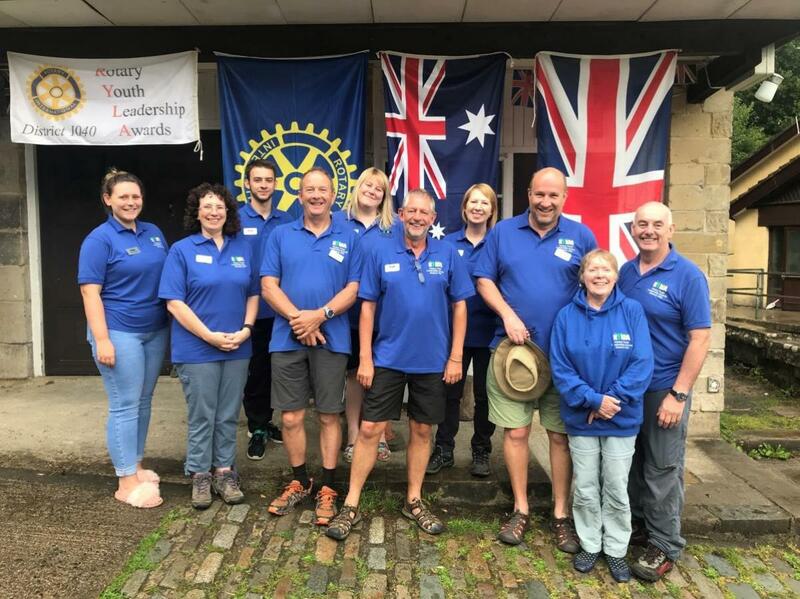 We held our third annual open day and we were delighted to welcome Rotarians from the Rotary Clubs of Bradford, Elland, Barrow Meridian, Halifax, Northallerton, Ripon Rowels, Bradford West, Horbury and Ossett Phoenix and Aireborough. It was another great success and we enjoy having the opportunity to show RYLA in action. It will be repeated again next year. We were also pleased that District Governor Nigel Arthurs was able to visit us for the last evening of each course to present the certificates and polo shirts and his support for RYLA is much appreciated by all the team. I would also like to thank all the Rotarians and RYLArians who worked as mentors on the course. Mentors hold a very special role in RYLA. Each mentor is allocated a team of eight and supports and encourages them throughout the week as they learn and develop. The instructors may only see a particular group once or twice but the mentors are always there and provide consistency throughout the week as the awardees undertake tasks and learn from the feedback they are given. Thank you to Simon Rebecchi (Leeds White Rose), Chris Redfearn (Brighouse), David Price (Leeds White Rose), Cindy Stephenson (Weighton Wolds), Linda Parker (Halifax), Alex Healey (RYLArian 2010), Grace Clark (RYLArian 2012), Rosemary Wilkinson (Elland), Richard Galliford (Stainborough) and Derek Housley (Stainborough). 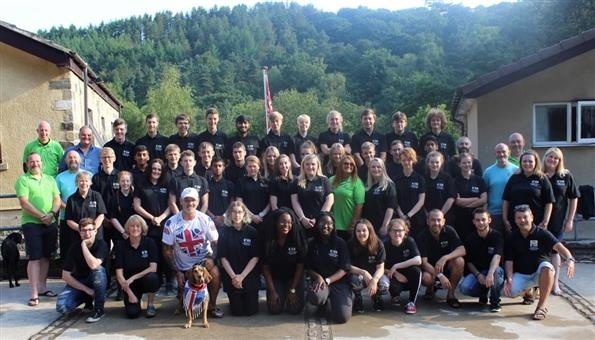 My very grateful thanks also go to Gill Poole (Mirfield) and Richard Greenwood (Sowerby Bridge) for their hard work in preparing for RYLA and keeping everything running smoothly during the course. Also to our wonderful chef Aaron McLaughlin who kept us all well fed and Christine Hodgson from the Inner Wheel Club of Halifax (my hugely supportive Mum) who sets her alarm for 5.30am every day and drives to Hebden Hey to cook breakfast for everyone. This is invaluable because it means I can hold a meeting with my full team every morning at 7am to address any issues and share information. I must also thank Courtney Locke, Jamie Young and Ken Robertshaw (Halifax) for all their help too. honour Eddie’s commitment, drive, enthusiasm and vision for RYLA. We were delighted to welcome Eddie to the last evening of Course Two where he said a few words and wished all the young people well for their futures. RYLA will be appearing at District Conference in October where I will once again be joined on stage by a number of this year’s RYLArians keen to tell you all about their RYLA experience and how they will use it in the future. – here’s to RYLA 2019!